*Update #1 - Mike responded on-air. Mike doesn't hate Jewish people. He even works with them! *Update #2 - the ADL confirms WFAN's response to its inquiry. There was none. *Update #3 - Proof that WFAN was taping the shows in 2001 and, perhaps, something funny happened to these particular tapes. *Update #4 - We caught up with Phil on June 4th, 2010 for the piece Think the NY Post's Phil Mushnick is a Grumpy SOB? Nope, He's Just an SOB. Phil spoke publicly for the first time in interview form on the 9-11 Loyalty Oath issue. He added that Yankees announcer Suzyn Waldman complained to 660's GM Mark Chernoff about Francesa's anti-Semitism. Audio of that interview appears at the very end of this article. My biggest gripe with Mike Francesa is that he's a bully. He belittles those he considers beneath him, and that's most of us. I don't like bullies. Never have. On Friday's show, Francesa spent many minutes trying to discredit me. Fine. We've been firing at each other for years. Days after the 9/11 attacks, Francesa, global affairs expert (it's a gift), launched two bigoted, backwoods and facts-depraving commentaries blaming both Israel and American Jews for America's peril at the hands of terrorists. In the wake of an attack on the U.S. by Islamic lunatics, Francesa even called upon American Jews to prove their virtue as Americans, to choose between Israel, which he called "a failed experiment," and the U.S. Mush adds that the above appeared in his column on 11/23/01 and that WFAN boss Mark Chernoff denied Francesa said it. Mushnick argues that anyone writing the above would be sued for libel if it was not true. WFAN didn't sue and never produced the tapes either. So if Francesa wants to put up 25 grand on Friday's Utley thing, donate the winnings to charity, or whatever -- and use tape to settle it -- cool, but let's first take care of that longer-standing listen-to-the-tapes challenge. And let's double the risk to $50,000. Unlike Mike, I can't afford to lose such wagers, but let's go. He wants to challenge me based on tape-supported facts? Play the tapes on the air? I'm all in. One last thing: I've never made Francesa's weight an issue in this column. That's too cheap of a cheap shot, too easy. Besides, I could stand to lose 20 pounds myself. But Friday he called me "lazy." For him to call anyone lazy, well, when we're done settling these challenges, let's bet another 10 grand on a race -- here to the refrigerator. This should get interesting now. Anti-Defamation League's letter follows along with some highlights of Mushnick's original article. Since September 12th, ADL offices in the tri-state area have been flooded with calls complaining about comments made by "Mike and the Mad Dog" show hosts Mike Francesa and Chris Russo. The complaints focus on the hosts suggesting the motive behind the World Trade Center attack is U.S. support for the State of Israel or, more importantly, suggesting a divided loyalty for American Jews between our country and Israel. We have reached out to you asking for a response to these complaints in order to better inform our constituents about this matter. At this point, we need more than a casual explanation for the comments made by the hosts. The calls continue to come in on a daily basis describing the hosts' continual injection of Israel in connection with the World Trade Center tragedy. We understand that WFAN is a station whose focus is the sports world. At this time we suggest it would be appropriate for Mr. Francesa and Mr. Russo to be instructed that their listeners tune in to hear an analysis of the game rather than unfounded presumptions about a horrific act of terrorism. Producer, "Mike and the Mad Dog"
...But Russo and Francesa's most stunning moments, emboldened by the sycophants in their audience - the only callers who are indulged without interruption - came when they suggested that American Jews, on their program, submit to make-believe wartime loyalty oaths to either America or Israel. I'm sitting there, a third-generation American, my late father a Naval lieutenant who served in two theaters during WW II, four people I know, including a fireman, are missing and presumed dead, and Francesa and Russo, are inviting me to take a loyalty test designed for American Jews to prove their virtue to two sports talk know-it- alls in the wake of an attack by religious lunatics on the United States. Francesa: "Those quotes about 9/11 and everything, which weren't made and no one ever found them. Plus, so he had to admit that he never heard them, so he got them second- or third-hand and they weren't even true quotes and they didn't even have the quotes, so they couldn't do the story." Wow, damning stuff. I fabricated a story about the content of Francesa's show in the wake of 9/11. Consequently, the New York Times was forced to "can" a story in which it had planned to "slaughter" Francesa based on what I'd written. Scandalous. I should be fired. But only if it were true. Sports media columnist Richard Sandomir is the person from The Times who contacted Francesa. "There was never any overt attempt to do such a story," he said Monday night. "I spoke with Mike, but then had neither the time nor inclination to pursue it. I couldn't, not after [WFAN program director] Mark Chernoff told me that the show [in question] was not taped. "There was no attempt to slaughter' Mike because there was no attempt to pursue it beyond that conversation I had with him." Furthermore, Francesa's claim that I fabricated quotes, then attributed them to him is a total lie because I never quoted either Francesa or Russo in that column. I couldn't quote them because WFAN claimed that it did not tape that particular segment. But I did hear them - first-hand, not "second or third-hand" - then wrote a column critical of them for characterizing the 9/11 attacks as the fault of Israel, and by extension, American Jews. I criticized them for suggesting that American Jews declare their loyalty to either Israel or the U.S. I wrote that as a third- generation American Jew and the son of a World War II veteran U.S. Naval officer, I found their take to be ignorant, repugnant and inflammatory. And I listened at length, that day, because I'd already received calls, faxes and e-mails complaining about Francesa's and Russo's simplistic, bigoted overview on 9/11, one that ignored the fact that radical, theocratic Muslims were murdering non-Muslims of all faiths, all over the world. The fact that no tape was, in Francesa's words, "ever found" - he failed to mention WFAN's claim not to have taped the segment I wrote about - was used by Francesa, Monday, as proof that I fabricated a story about him. And that bogus premise, based in a lie, was used by Francesa as proof as to why The Times killed a piece that would've condemned him. And that bogus premise, based in a lie, was used used by Francesa as proof that quotes I attributed to him were fabricated - when he was never even quoted. 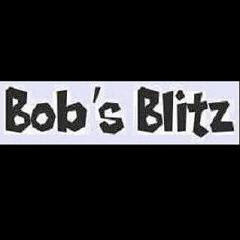 Return to Bob's Blitz homepage.